The seed portfolio for the new fund includes the 20MW Staunch project commissioned in March 2017. Image: Gresham House. Gresham House, formerly Hazel Capital, is to float an energy storage fund on the London Stock Exchange next month, with an aim to raise £200 million to fund 262MW of energy storage projects over the next year. 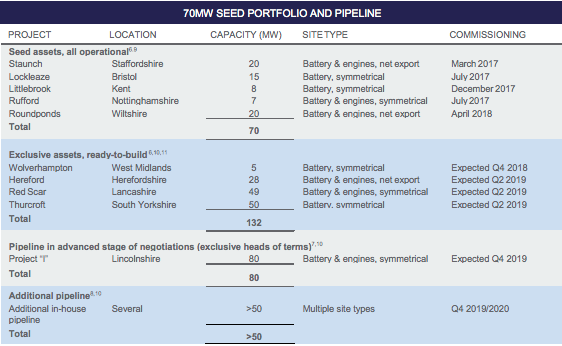 Gresham House Energy Storage Fund has already secured a seed portfolio of 70MW across five projects it has developed alongside its partner Noriker, ranging from 7MW up to 20MW. Gresham House New Energy, which will manage the fund, says it also has exclusivity over 132MW of shovel-ready sites across the UK, with a further 80MW in the advanced stages of negotiations. Finally, more than 50MW of storage projects are also within sight of the management team, which has already invested more than £30 million alongside institutional investors, all of which is expected to be acted on over the next year. Gresham House hopes to have completed the initial public offering (IPO) and admission to the LSE early next month, with the fund offering yields of 7% to investors. Rupert Robinson, managing director of Gresham House Asset Management, said: “We are excited to bring this opportunity to invest in energy storage systems to institutional and high net worth investors. “What will set the Fund apart is the proven expertise of the management team in this highly specialist sector and the cornerstone investment of more than £30 million, from the management team and institutional investors. 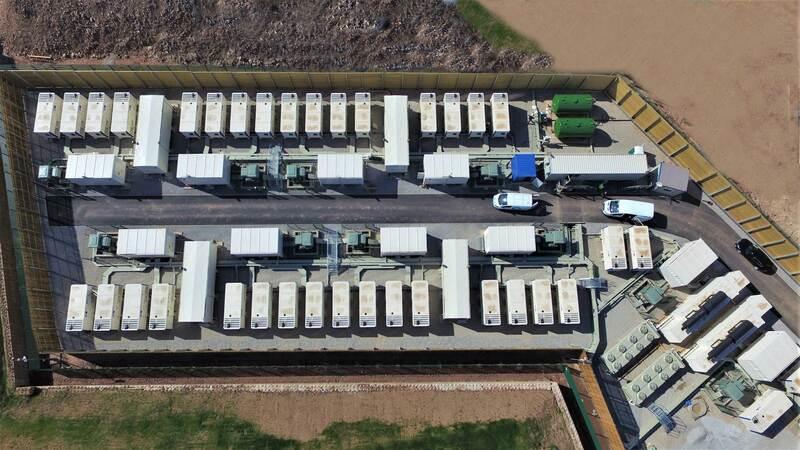 ​It will be the second listed fund dedicated to energy storage after Gore Street Energy Storage Fund was announced in March, targeting £100 million and also promising 7% returns. However the fund underwhelmed in May having only raised £30 million, with half of this coming from external investors. Gresham House will be hoping for greater success, bringing forward the new fund at a time when it says the need for utility-scale energy storage projects will only increase over the coming years as the UK sees greater levels of renewable generation brought online. With half of total electricity generation expected to come from intermittent renewables by 2023, Gresham House has used forecasts from Imperial College to argue that 5GW of energy storage will be needed by 2020, rising to 20GW by 2025 and up to 35GW by 2030. Ben Guest, head of Gresham House New Energy, said: “The rise of renewables points to a major source of imbalance that requires an immediate solution – ESS [energy storage systems] are the answer. “The UK energy storage market is set for significant growth. However, the total potential of energy storage is currently limited by a lack of experienced operators, and this problem will only intensify, with demand for storage rapidly increasing as the deployment of renewable energy installations continues apace and the traditional coal and gas fired generation is retired. To date, the team at Gresham House New Energy has worked on 28 solar projects with a total capacity of 290MW, on top of the existing 70MW of energy storage projects developed since 2016.